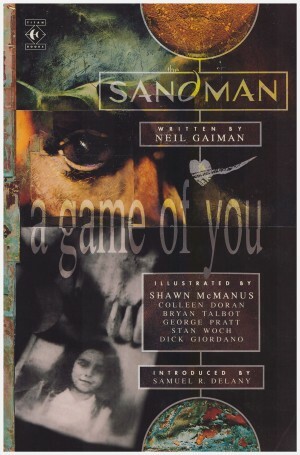 A Game of You exemplifies how far Sandman progressed from the awkward horror characterising the earliest volumes. 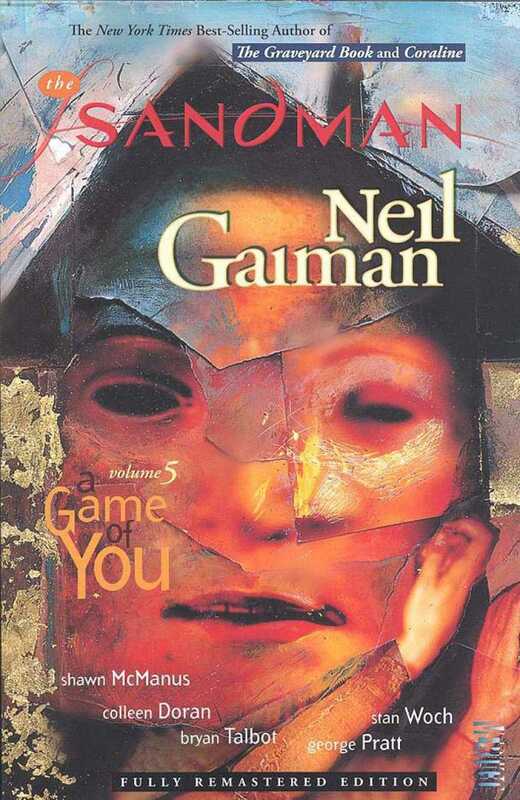 After roughly a year of that material Neil Gaiman realised the world of dreams didn’t require limiting to nightmares and began to vary his approach. This is his fairy tale, a demented further twisting of an already bizarre genre, coupled with an exploration of identity. There’s very little of Morpheus in the opening chapters as we’re introduced to the tenants of a New York apartment block. Key is Barbie, once married to Ken (ho ho), and briefly glimpsed in The Doll’s House. Her always vivid dreams ceased along with the relationship, yet a character from those dreams manifests in our reality. Her flatmate Wanda is also important. She’s a sympathetic rendering of a transgender person, but this is no mere tokenism as Wanda is integral to the unfolding story. We’re also introduced to three other women, and one of the cast is far more than they first seem. 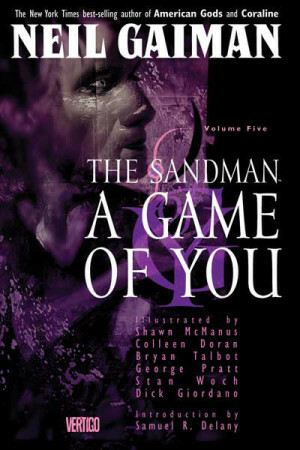 The bulk of A Game of You is appealingly drawn by Shawn McManus, with Colleen Doran and Bryan Talbot also contributing individual chapters. In the original presentation Doran’s pencils were very poorly served by the wispy inking of George Pratt. In what’s surely a unique decision for American comics, when preparing the Absolute edition years later, Doran was given the opportunity to re-ink her own pencilled pages to far better effect. 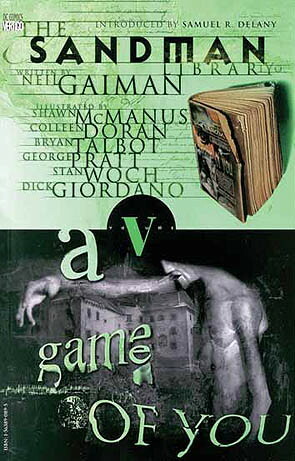 In addition to other re-mastering and superior colouring it makes any post 2010 printing of A Game of You a better purchase than older editions. 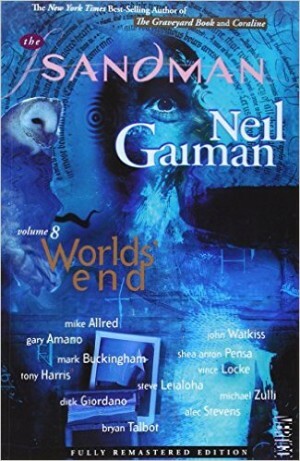 While initially seeming to be more about fantasy than dreams, the connection is eventually made, and there’s barely a male presence until Morpheus manifests for the final act. You’ll laugh, you’ll cry, and you’ll scratch within the depths of your recollection to locate your discarded imaginary friends. 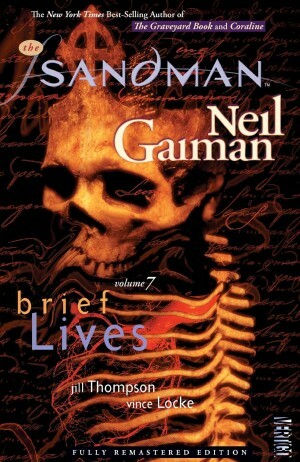 Such was the strength of the surviving cast that they were used again, by Gaiman in Death: The Time of your Life, and by Bill Willingham in Witch for Hire. 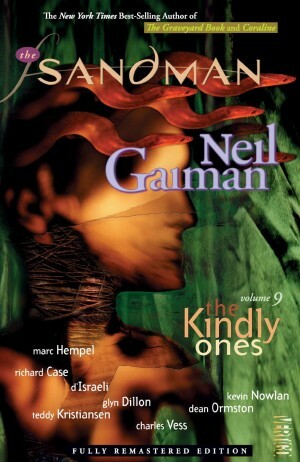 The re-mastered version is contained within the first volume (of two) of the Sandman Omnibus, and it’s also located within the second volume of The Annotated Sandman. 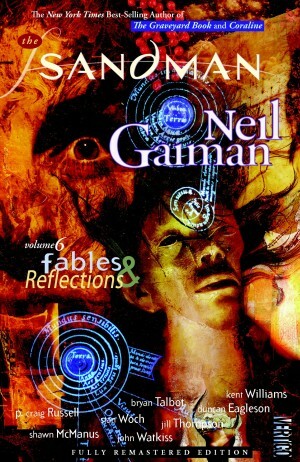 There it’s in black and white accompanied, as the title indicates, by a wealth of notes citing Gaiman’s inspirations and references on a page by page, and sometimes panel by panel basis.